24 Hour Emergency Plumbers in Toronto and GTA | Free home plumbing inspection in April, 2019 ! 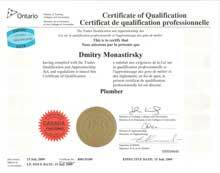 We are certified plumbers, licensed by Toronto municipal Licensing & Standards department. We specialize in complex jobs, backwater valve and sump pump installations, drain repairs, and basement waterproofing. And Get Two Free Home Plumbing Services Plus City Rebates. Honest pricing – we charge by the job, not by hour, and we do not charge mileage. Our prices are reasonable. Job done right the first time – We work fast and so that no rework is ever needed. Why choose a certified Toronto plumber when dealing with plumbing emergencies? Handymen without a license haven’t studied specifics of Toronto’s plumbing, drainage, venting and sewage systems. They may harm your home or plainly not finish the job. You will not get rebates from the city unless your plumber is certified. We see it every day. We are on call 24x7, ready to do sewage clean out and get rid of sewer smell in your house. We do sewer camera inspection to make sure sewer emergency doesn’t happen again in your home. We protect your home from flood (and your wallet) by installing quality backwater valves and sump pumps so that next heavy rain doesn't catch you off guard. We promptly deal with your clogged sewer or drain pipe, any water leaks from your plumbing fixture, and any other plumbing issue that may trouble you. We waterproof your basement foundation and walls so that your family doesn’t get sick from mold and mildew. We repair your home plumbing for a reasonable price so that you don’t have to learn to do it yourself. We save you time, trouble, and money. A to Z Plumbing & Drain gives you an affordable way to fix any plumbing problem. At A to Z Plumbing & Drain, our philosophy is simple: quality work for a reasonable price. We want to respond quickly, make the necessary repairs, never make an unnecessary repair, and charge a fair price. 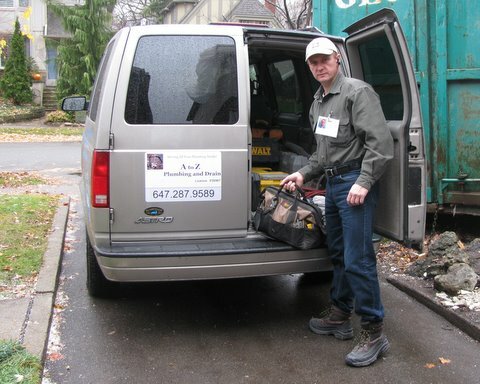 Give us a call at 647-287-9589 or 416-519-4919 for plumber in Toronto or GTA to fix your plumbing problem.